A DIAMOND CAN CHANGE THE WORLD. 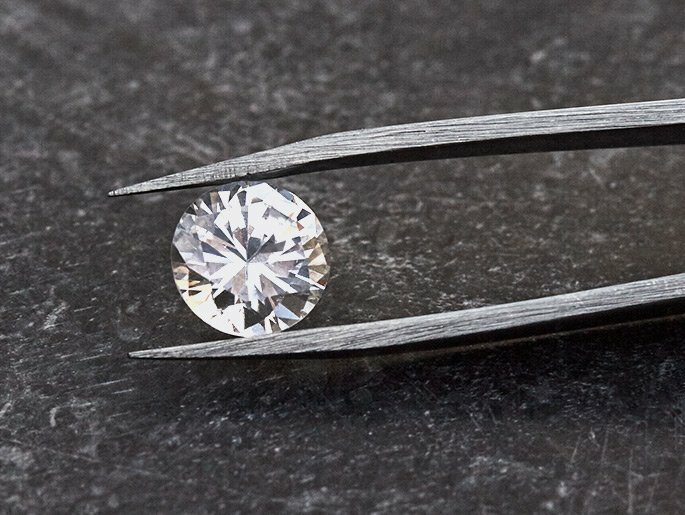 The U.S.-based Spence Diamond manufacturer can do what traditionally mind diamond dealers can’t – they guarantee your diamond’s origin. This eliminates the middlemen, their unquestionable practices, and any societal conflict. Spence minimizes their environmental footprint by removing the intense impact of traditional mining. Spence’s Artisan Created Diamonds are made in the U.S., ethically responsible, and environmentally sustainable. Artisan Created Diamonds have the exact physical, chemical, and optical properties as natural diamonds. The only difference – they are created in a plasma chamber rather than dug from the Earth. Using breakthrough technology and proprietary Spence equipment, Spence replicates the environment in which a natural diamond grows, taking 6-12 weeks. Each truly one-of-a-kind, gem-grade Artisan Created Diamond will come with its own inclusions, color, and clarity just as it would in nature. The beauty of knowing where your diamond comes from means you can rest easy about who was involved in creating your diamond. As part of Spence Diamond’s commitment to creating a better world, the Artisan Diamond reduces the need for extractive mining – thereby preventing the desctructive practices that so often result in human trafficking. Spence Diamonds also commits to contributing a portion of their revenue to empowering local communities in the Democractic Republic of the Congo and Uganda, where conflict has made many people vulnerable to exploitation of the traditional mining industry. This holiday season Spence Diamonds and Not For Sale become partners in fighting human trafficking around the world. Spence is offering a limited edition 5-piece collection built around the Boho by Spence jewelry line that will allow us all to “wear our beliefs” in the fight against trafficking. Each piece will be limited to 300 pieces and will only be offered during the holiday period (until Dec. 31, 2017). 100% of all profits from the limited edition Boho by Spence x Not For Sale Holiday Collection will be donated to Not For Sale.